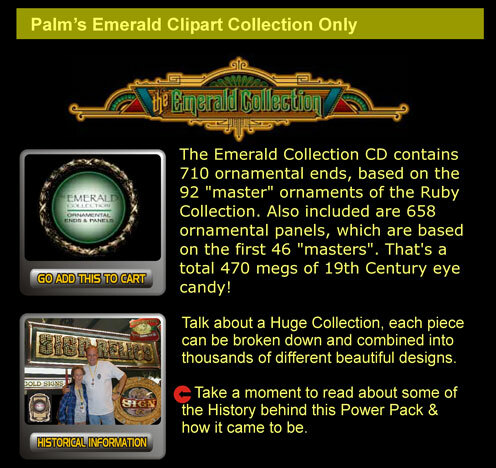 Emerald Collection clip-art-Palms Ornamental CD contains 710 ornamental ends, based on the 92 "master" ornaments of the Ruby Collection.Also included are 658 ornamental panels, which are based on the first 46 "masters"that's a total 470 megs of 19th Century eye candy! 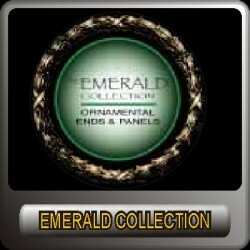 The average size of the Emerald Collection's 1368 ornaments is a mere 170K. Emerald clip art collection-from the palms trilogy emerald clip art collection sample. 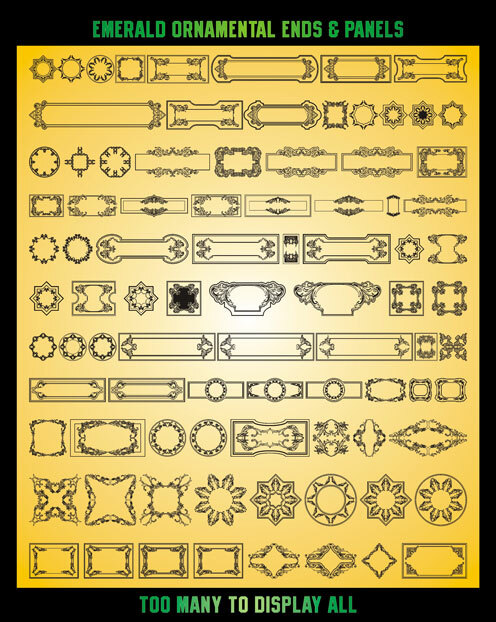 Each vector illustration is meticulously "hand" vectored. 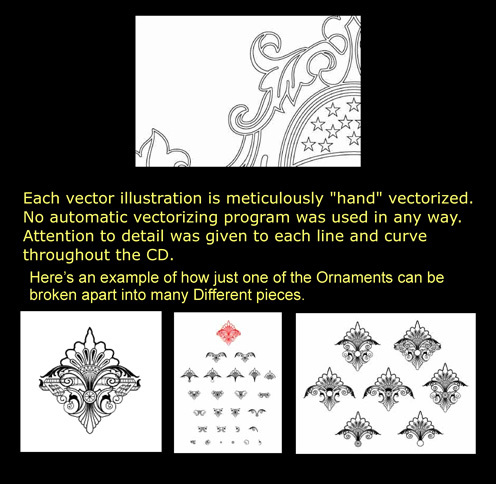 No automatic vectorizing program was used in any way.Attention to detail was given to each line and curve throughout the CD.Here’s an example of how just one of the Ornaments can be broken apart into many Different pieces.